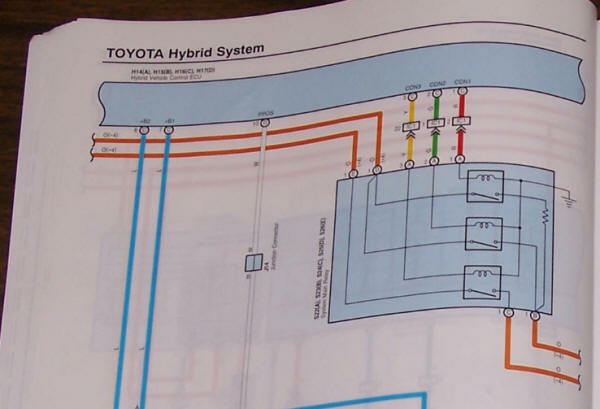 The Main Relays connect the battery (orange wires coming in from the left) to the inverter (orange wires going to the right). The plan is to connect an ordinary outlet strip to the output terminals of the two bottom relays. The relays completely isolate the battery from the rest of the vehicle except when energized. This is probably why they tell you to disconnect the negative terminal of the auxiliary battery before working on this section. Here's the auxiliary battery, negative terminal on the right. 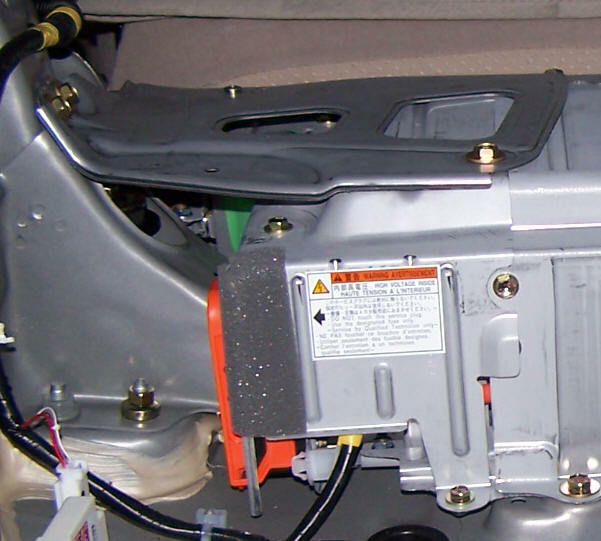 It's easier to disconnect the short cable from the car chassis ground than it is to actually remove the clamp connection from the battery itself. The HV battery assembly is divided in sections. The orange "service plug" is connected in series between two of the battery sections. When it is removed there is no longer a current path through the battery, so even if you somehow accidentally short out the battery in the following steps no current will flow. Note carefully how it is inserted! If you remove it and don't reinsert it properly, the car won't work and you'll be unhappy indeed! 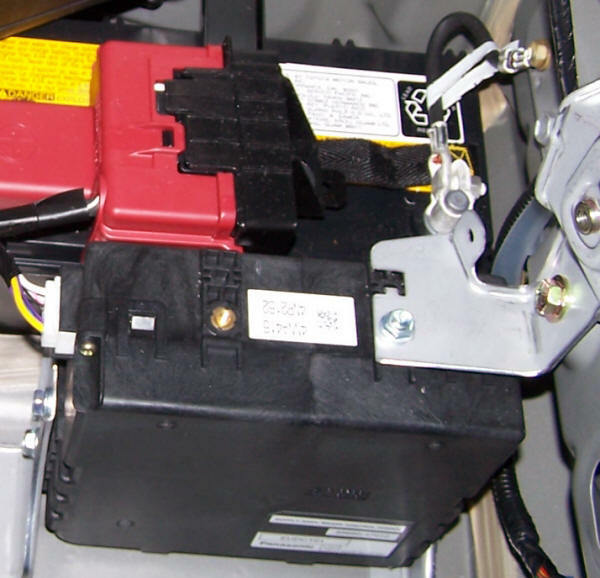 Once you remove the service plug, the next step is to remove the retaining bracket which fastens the left side of the battery assembly to the car frame and also prevents you from removing the access cover to the HV relays. Next step: Remove the retaining bracket and HV relay access cover.